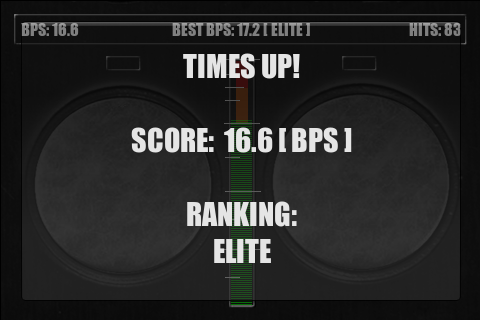 Check out realtime scores from around the world! 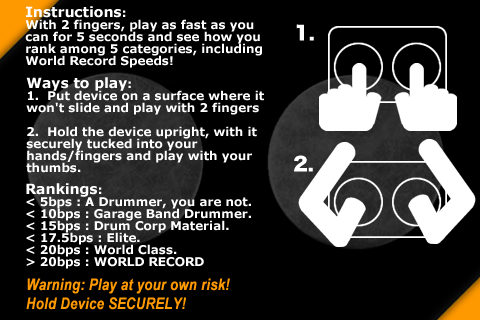 With 2 fingers, play as fast as you can for 5 seconds and see how you rank among 5 categories, including World Record Speeds! Are you the one with the pencil’s in math class going nuts on the cover of your geometry book? Do you tap so much that your wife and kids can’t even hear it anymore? Maybe you think you’re the world’s fastest text’r? Do you have natural speed and rhythm? Think you got what it takes to compete with the world’s fastest drummers? PROVE IT. Well here’s your chance! 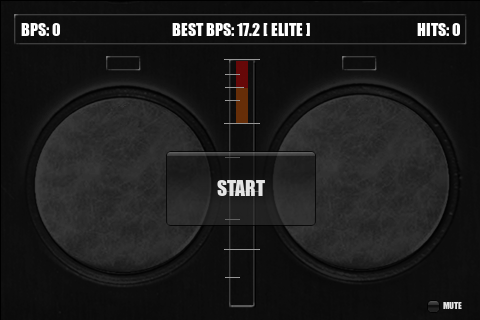 ‘5 Seconds to glory’ is your shot at hitting times that rival world class drumming speeds. Show your buddies you’re the speed king or let the kids play it for hours in the car! Break it out at band practice and show em’ what you’ve got! If you think you’ve got what it takes to break into the ‘World Class’ rankings, post your videos on YouTube with the tag “5SecondsToGlory”! Also, if you’ve figured out other ways to play other than the 2 described, would love to see those posted as well. You can find my videos under ‘neoRiley’. IF you happen to break into the ‘World Class’ speed and/or ‘World Record’ speeds, please post a video of you achieving this feet! THEN, go out, buy yourself a nice pair of sticks and start practicing for the REAL DEAL – 1 full minute at that same speed with sticks. If you do, you’ll be one of the fastest drummers on the face of the planet. WARNING: HOLD ON TO YOUR DEVICE OR MAKE SURE YOU’RE ON A SURFACE WHERE IT WON’T SLIP OR SLIDE. I have yet to drop my iTouch or iPhone, but still, you should be careful. 2. Hold the device upright, with it securely tucked into your hands/fingers and play with your thumbs. In other words, hold it like you’re texting. 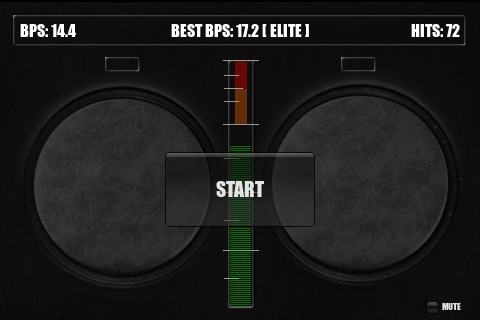 < 5bps : A Drummer, you are not. < 10bps : Garage Band Drummer. < 15bps : Drum Corp Material. < 20bps : World Class. 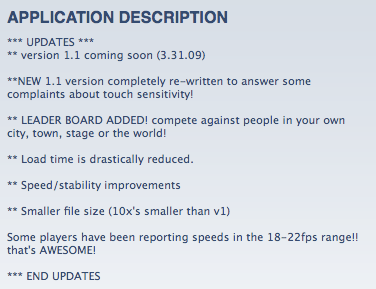 > 20bps : WORLD RECORD! oh man £0.59p for this game!